- Grade: Cr-11.50-13.50, Ni-0.60MAX, C-0.08, Mn-1, Si-1, S-0.03, P-0.04. 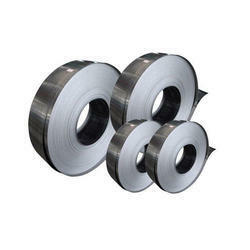 We are the Stockiest & supplier of Stainless Steel Strips. We are having an in house slitting facility where we are able to keep control on the quality and the sizes of the strips. We are knows for our perfect dimensions as well as our quality. We are having stocks in various grades of stainless steel such as SS 202, 304, 316 , 310, 410, 430 etc.